The government’s proposed deprivation of liberty ‘definition’ has been added to the bill to replace the Deprivation of Liberty Safeguards (DoLS), despite Labour criticism it would fail in its aim to provide clarity to practitioners. Last week, a committee of MPs voted on party lines, with a thin Conservative majority outvoting the Labour minority, to push through the clause, which sets out what a deprivation of liberty is not. 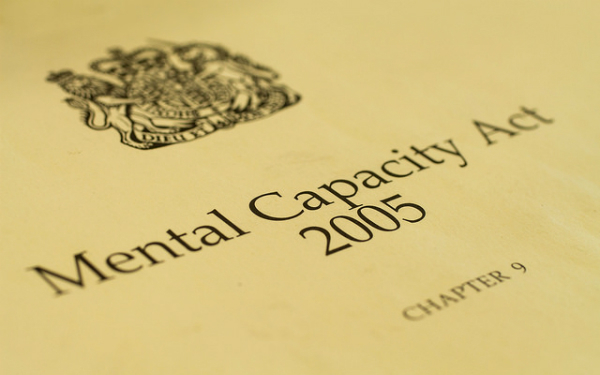 The Mental Capacity (Amendment) Bill will now go back to the full House of Commons for the report stage, at which point opposition MPs may seek to remove the clause. The legislation would replace the DoLS with a new system for authorising deprivations of liberty in care, called the Liberty Protection Safeguards (LPS). • not subject to continuous supervision and free to leave the place temporarily (even if subject to supervision while outside that place). The clause also states that a person is free to leave a place even if he or she is unable to do so, provided that if the person expressed a wish to leave, they would be enabled to do so. In addition, it states that a person is not deprived of liberty if the arrangements alleged to give rise to the deprivation of liberty are put in place in order to give medical treatment for a physical illness or injury, and the same (or materially the same) arrangements would be put in place for any person receiving that treatment. Explaining the amendment, care minister Caroline Dinenage said it responded to calls for a definition of a deprivation of liberty by members of the House of Lords, in its consideration of the bill, and would provide clarity to practitioners and ensure that the LPS were applied appropriately. This was in a context in which there had been a seventeen-fold increase in DoLS cases in England from 2013-14 to 2017-18 as a result of the Supreme Court’s Cheshire West judgment which, in effect, lowered the threshold for what constituted a deprivation of liberty in law. However, Dinenage said the government proposal was a “statutory clarification”, rather than a definition, because the “evolving” nature of case law made it difficult to draft a definition that would remain sufficiently precise. The minister said the clause was drawn from case law and rooted in article 5 of the European Convention on Human Rights, which provides for the right to liberty in the UK and is the basis of deprivation of liberty law. However, in a sharply worded response, shadow mental health and social care minister Barbara Keeley said the government’s clause ran counter to case law judgments from the domestic courts and the European Court of Human Rights (ECtHR). She said that the definition defined a deprivation of liberty more narrowly than case law, and risked people wrongfully going without the protections of the LPS and “costly litigation” from the clash between case law and an Act of Parliament. Keeley also said the proposal would not achieve the aim of providing clarity for practitioners. “The purpose of any definition is to provide absolute clarity to practitioners and, perhaps more importantly, cared-for people and their families. It exists to tell people when they are deprived of their liberty and thus have certain rights that can be engaged,” she said. In particular, she raised issues with the proposed section which states that a person is not deprived of their liberty if not subject to continuous supervision and free to leave the place where they are living temporarily, with or without supervision. She said that all of the people involved in the Cheshire West case – known as P, MIG and MEG – were able to leave the places where they lived temporarily, and they were all considered to be deprived of their liberty by the Supreme Court. In response, Dinenage said that, under the proposed section, a person could only be considered excluded from being deprived of their liberty if they were both free to leave temporarily and not under continuous supervision. Being temporarily free to leave alone would be insufficient. She added that the definition would be accompanied by “detailed statutory guidance” and case studies within the code of practice being developed to accompany the legislation, which would assist practitioners in determining whether a person should be deprived of their liberty. This would include details on what was meant by ‘continuous supervision’, for example how often a person may have to be checked and monitored to fulfil this condition. She said: “Those case studies will demonstrate how the exceptions will apply in different settings and scenarios, provide clarity, and aid practitioners in identifying when one of the exceptions applies. We are working with stakeholders to co-produce that guidance to ensure that it is clear, unambiguous and of real help to those who use it.